Thanks for stopping in today. I have this card which I was asked to make for a friend of mine. She has a friend who is coping with the return of her cancer. 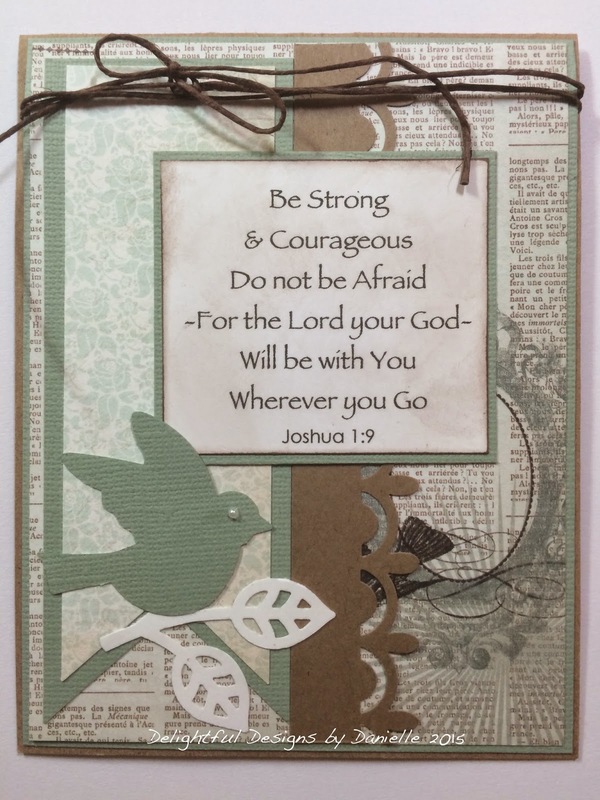 She wanted a card to reflect her strong faith and to encourage her in her ongoing battle with the Big C.
I found this beautiful verse which pretty much sums it all up. I have to admit to making this card with tears in my eyes and a lump in my throat - it was very emotional, as I do know the lady concerned too. The sentiment was computer generated and then inked gently with a sponge. I used a muted calming colour palette, the papers from MME Lost & Found. I added a MS punched border, bird and leaf. The addition of the twine finishes it off. Here is the finished inside of the card too. Same bird punch but the silhouette version (I love these punches by MS). The sentiment inside is from SU!. That's all for today folks. Thanks for stopping in. I'm off to take Jasper to get a trim and his nails clipped before our road trip on Thursday! Have a wonderful Tuesday and until next time ... happy crafting! Very cute card! I love this words!! !Thanks for joining us at Cradt your Passion Challenge. Great card. 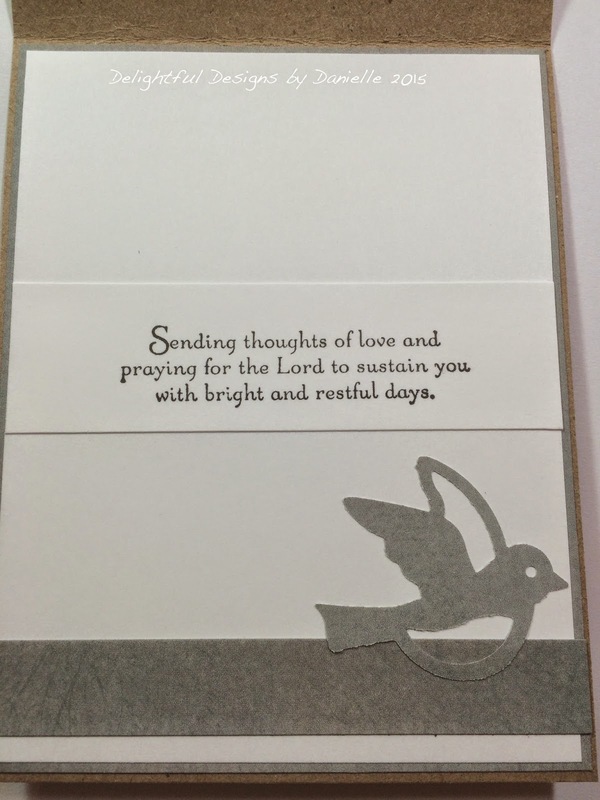 Thanks for joining in our "Add A Sentiment" challenge at Crafty Calendar this month.